Lonnie T. Brown Jr., who holds the A. Gus Cleveland Distinguished Chair of Legal Ethics and Professionalism, joined the University of Georgia School of Law faculty in the fall of 2002. He teaches courses in civil procedure, the law and ethics of lawyering, ethics in litigation, and Georgia practice and procedure. In 2019, he was named a Josiah Meigs Distinguished Teaching Professor, UGA's highest honor for teaching excellence. From 2013 to 2015, he served as the law school's associate dean for academic affairs. Brown's research concentrates primarily on legal ethics in the adversary system, and he speaks and writes frequently in this area. He also has a forthcoming book on former U.S. Attorney General Ramsey Clark titled Defending the Public's Enemy: The Life and Legacy of Ramsey Clark (Stanford University Press) and has written several law review articles on aspects of Clark's legal career. Prior to joining UGA, Brown was an assistant professor at the University of Illinois College of Law and served as a visiting assistant professor at Vanderbilt University. In addition, he taught at Emory University as an adjunct professor. He also served as a judicial clerk for Judge William C. O'Kelley of the U.S. District Court for the Northern District of Georgia. From 1991 to 1999, he practiced law as an associate and a partner at Alston & Bird in Atlanta. 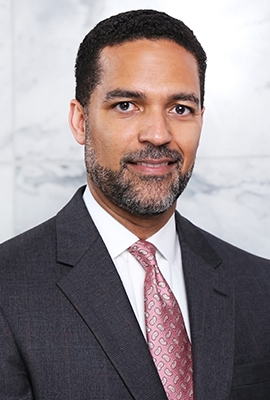 Brown currently serves on the Drafting Committee for the Multistate Professional Responsibility Exam, the State Bar of Georgia Formal Advisory Opinion Board and the Executive Committee for the Professional Responsibility Section of the American Association of Law Schools. He has also served as the reporter for the U.S. District Court for the Northern District of Georgia's Local Rules Revision Project. In addition, he has been a member of the AALS Committee on Bar Admission and Lawyer Performance, the American Bar Association's Center for Professional Responsibility and the Association of Professional Responsibility Lawyers. In 2007, Brown was the recipient of the inaugural C. Ronald Ellington Award for Excellence in Teaching. He is also an 11-time recipient of the Student Bar Association's Professionalism Award and has been twice selected as an honorary faculty marshal by graduating classes. At the university level, Brown has served as an Administrative Fellow in the Office of the Senior Vice President for Academic Affairs and Provost and as a Senior Teaching Fellow. In addition, he is a member of the UGA Teaching Academy. Brown earned his bachelor's degree from Emory University, where he was a Robert W. Woodruff Scholar, student body president and a recipient of the Marion Luther Brittain Award, Emory's highest student honor. He then earned his law degree from Vanderbilt University, where he was a Patrick Wilson Scholar and editor-in-chief of the Vanderbilt Journal of Transnational Law. He and his wife, Kim, have two daughters, Sophie and Olivia. Professional Responsibility: A Contemporary Approach (with Russell Pearce, Renee Knake, Bruce Green, et al.) (West Academic, 4th ed. forthcoming 2020). Defending the Public’s Enemy: The Life and Legacy of Ramsey Clark (Stanford Univ. Press, forthcoming 2019). Ramsey Clark in Yale Biographical Dictionary of American Law (Roger K. Newman, ed.) (Yale Univ. Press, 2009). Different Lyrics, Same Song: Watts, Ferguson, and the Stagnating Effect of the Politics of Law and Order, 52 Harv. C.R.-C.L. L. Rev. 305 (2017). In Defense of the Devil’s Advocate, 44 Hofstra L. Rev. 1037 (2016). Civility and Collegiality: Unreasonable Judicial Expectations for Lawyers as Officers of the Court, 2 St. Mary's J. L. Malpractice & Ethics 324 (2012) (Symposium Issue). A Tale of Prosecutorial Indiscretion: Ramsey Clark and the Curious Case of Stokely Carmichael, 62 S.C.L. Rev. 1 (2010). Drawing the Ethical Line: Controversial Cases, Zealous Advocacy, and the Public Good: Foreword, 44 Ga. L. Rev. 913 (2010) (Symposium Issue). Representing Saddam Hussein: The Importance of Being Ramsey Clark, 42 Ga. L. Rev. 47 (2007). “Lawyers” Not “Liars”: A Modified Traditionalist Approach to Teaching Legal Ethics, 51 St. Louis U. L.J. 1119 (2007). A Teacher's Teacher, 39 Vand. J. Transnat'l L. 1405 (2006). Reconsidering the Corporate Attorney-Client Privilege: A Response to the Compelled-Voluntary Waiver Paradox, 34 Hofstra L. Rev. 897 (2006); reprinted in the Corporate Practice Commentator (Thomson/West, 2008) . 'May It Please the Camera ..., I Mean the Court'--An Intrajudicial Solution to an Extrajudicial Problem, 39 Ga. L. Rev 83 (2004); also published in A Century of Legal Ethics: Trial Lawyers and the ABA Canons of Professional Ethics. Racial Discrimination in Jury Selection: Professional Misconduct, Not Legitimate Advocacy, 22 Rev. Litig. 209 (2003). Ending Illegitimate Advocacy: Reinvigorating Rule 11 Through Enhancement of the Ethical Duty to Report, 62 Ohio St. L.J. 1555 (2001). ""May it Please the Camera, . . . I Mean the Court"--An Intrajudicial Solution to an Extrajudicial Problem" in A Century of Legal Ethics: Trial Lawyers and the ABA Canons of Professional Ethics (L. Fox, S. Martyn & A. Pollis, eds.) (ABA Publishing, 2009). A Practitioner's Perspective on Academia, Nat'l Association for Law Placement Bulletin, Vol. 12, No. 3 (March 1999).